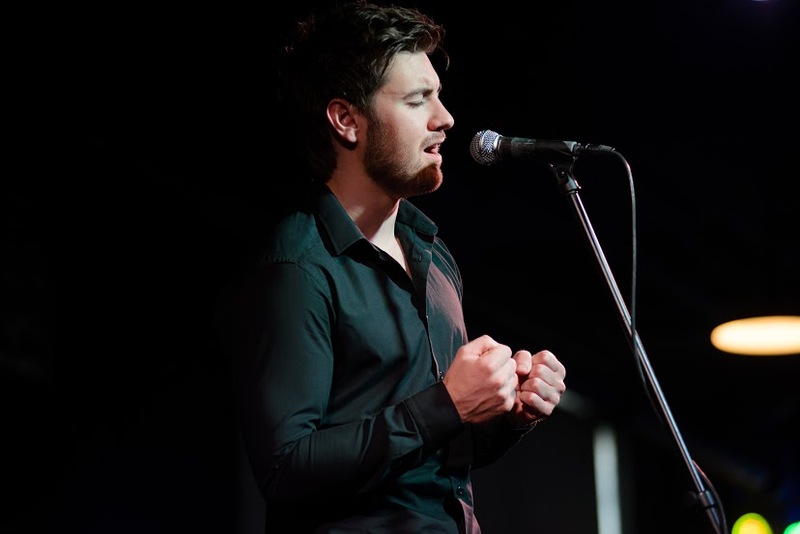 Recently while visiting a friend in Texas I had the pleasure of seeing Emmet Cahill, String Theory and Ireland Harber perform live at Poor David’s Pub in Dallas. 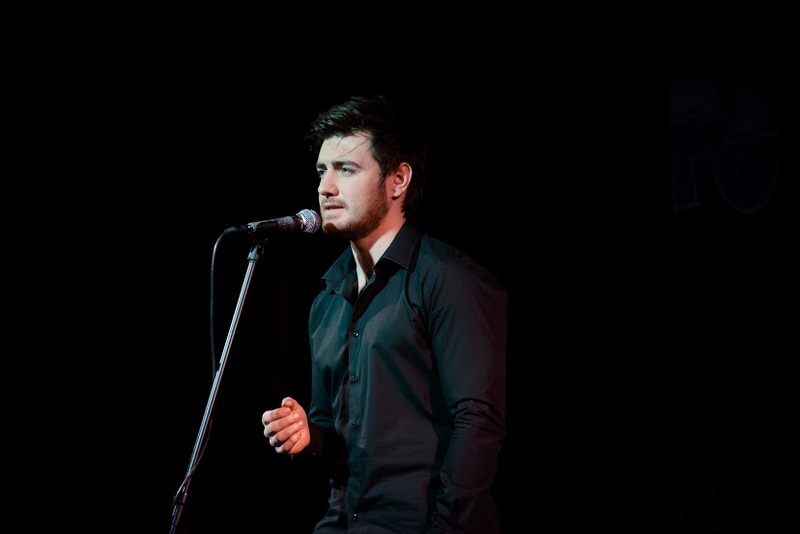 For those of you who don’t know Emmet Cahill is a fantastic, classically trained, Irish tenor and former member of world renown singing group Celtic Thunder. 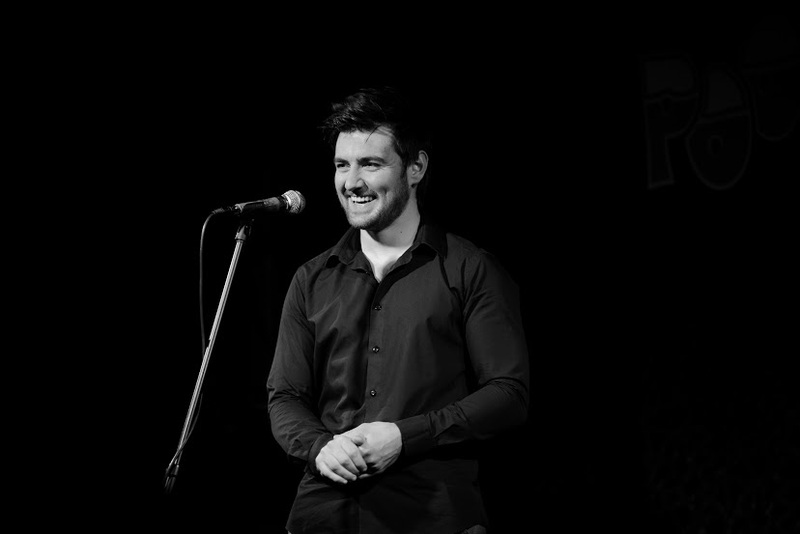 He began music at the age of four with lessons from his father and then went on in life to receive his formal training and a Degree of Musical Performance from the Royal Irish Academy of Music, (not many can put that on their resume!). After three years of world touring with Celtic Thunder, Cahill resigned to pursue his solo career, which lead me to this wonderful evening. After an amazing opening act led by Nathan Kenedy and Jesse Ramirez, it was time for Cahill to begin. Now, to start I was more excited about visiting my friend than I was about seeing Emmet perform, this lead me to sorely underestimate his talent. With Seamus Brett on piano, Cahill began his set with “Go the Distance”, immediately I was swept away into the song. 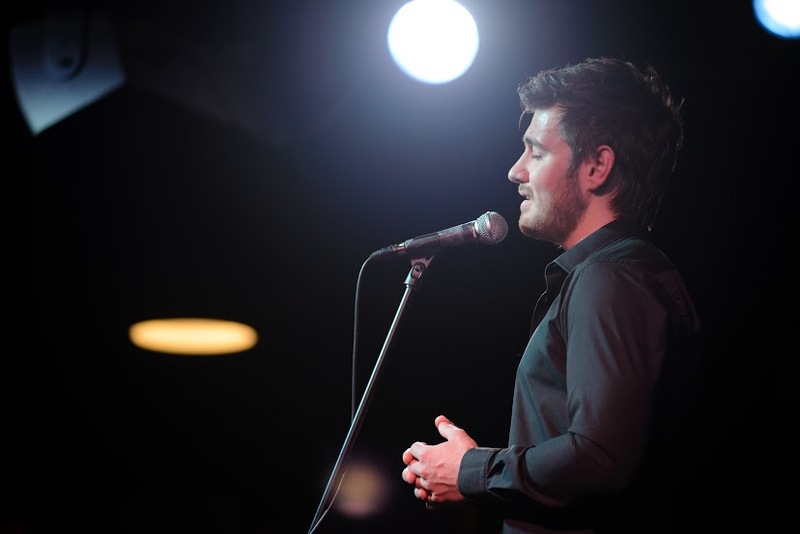 On top of his extreme grace and control one of Cahill’s best qualities is how he acts with his song, he felt it, and in return every audience member felt the song as well. This especially showed during “Some Enchanted Evening”, as the whole room became an old black and white film with Cahill as the star. By the sixth song of the night in my notes it literally says, “Song 6: ‘The Book of Love’, At this point I am enjoying it too much to write. Go see him!” His concert was so good I just wanted to enjoy it, and I most certainly did! It was during Cahill’s moving rendition of “Isle of Hope, Isle of Tears” that I myself was moved to tears, and I want you readers to understand I have never cried because of a song. But as lovely and sad as “Isle of Hope, Isle of Tears” was the one song that most moved me, and I feel was Cahill’s best, was his beautiful performance of the Les Miserables song “Bring Him Home”. In that moment Cahill really was Jean Valjean pleading to God for Marius. For the audience members he wasn’t just acting, he was. Here I had chills and I cried even more. He broke the mournful beauty with “When Irish Eyes are Smiling” only to bring us back to tears with a final performance of “Danny Boy” (If you were at this show and are wondering, yes the person blubbering behind you was I). Perhaps Cahill has missed his calling as an actor…but than again if he were I couldn’t have seen this amazing show. 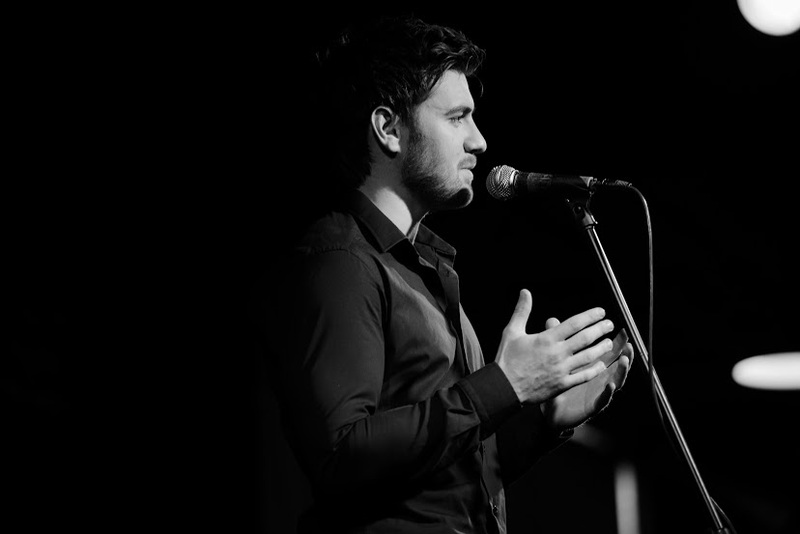 His talent is not only in his gorgeous voice but also in his moving and truly Irish way of telling the story. If Cahill is ever in town near you buy tickets to his show. You will completely enjoy your evening! Thank you Emmet for the wonderful show and well done. 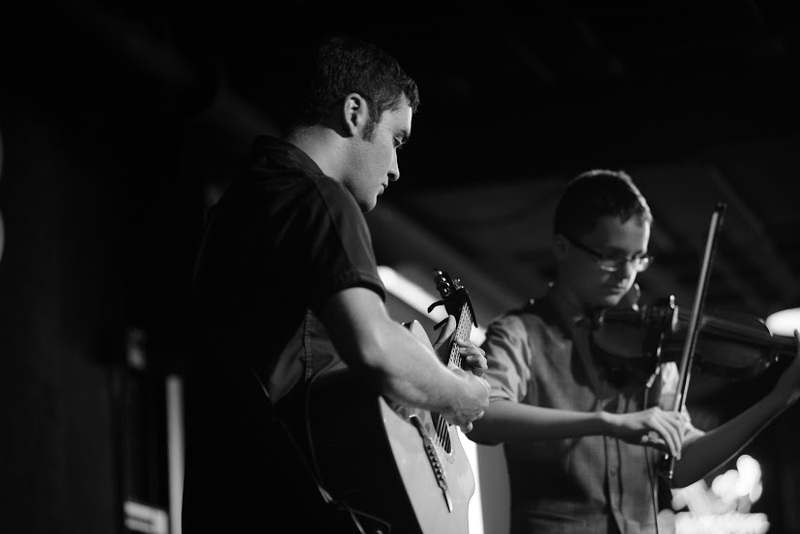 Click here for part one of A Night at Poor David’s with String Theory and Ireland Harber. 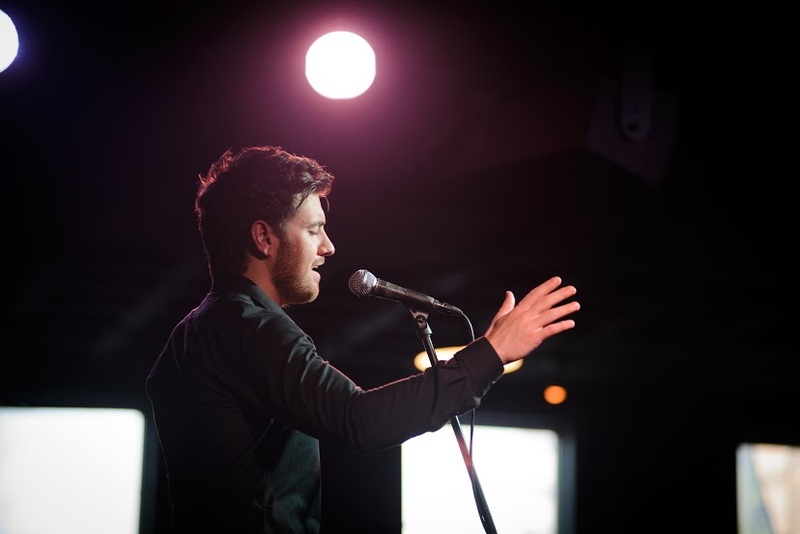 Recently while visiting a friend in Texas I had the pleasure of seeing Emmet Cahill, String Theory and Ireland Harber perform live at Poor David’s Pub in Dallas. This is a two-part blog series because there was so much talent it was just too big for one post. For this series I was fortunate enough gain use of pictures from that night taken by the incredible Amanda Grace of Gilded Isle Photography! All images used in this series are hers. After a lovely Q&A/meet and greet with Emmet Cahill before the opening act, we sat down to watch the amazement that is String Theory! 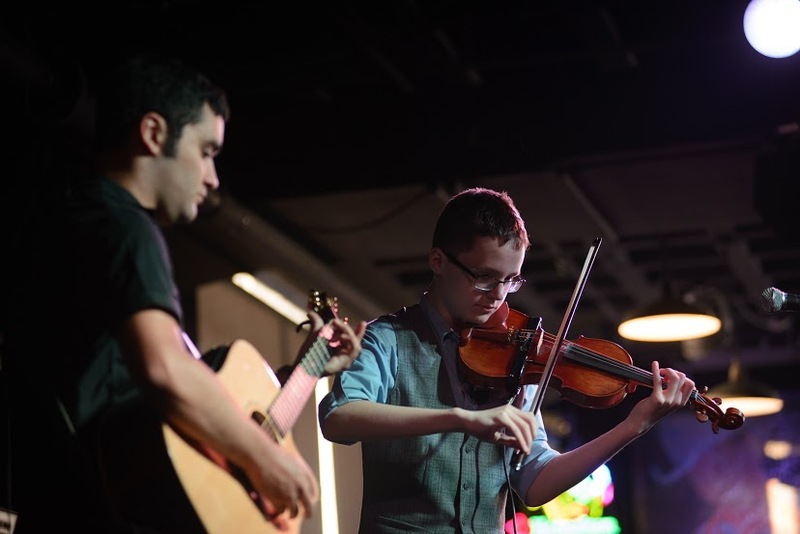 This band is made up of University of North Texas graduate Jesse Ramirez on guitar, and North Texas School of Irish Music student Nathan Kennedy on fiddle. What first caught my eye was their perfect rhythm and synchronization, as both played so naturally like that was the only thing their arms were made for. These lads are Celtic instrumental at its finest! As I sat there listening I wished this could be the soundtrack to me horseback ridding through Irish moorland (I have artsy dreams, okay?). I was most impressed by Kennedy’s fiddling. During each song he added so much emotion and narrative with his well-seasoned playing, then to my amazement I learned that Kennedy was only thirteen years old! This lad has talent beyond his years. I am completely proud to say that Kennedy was just recently in Ireland competing in the world championships of Irish music, the Fleadh Cheoil! 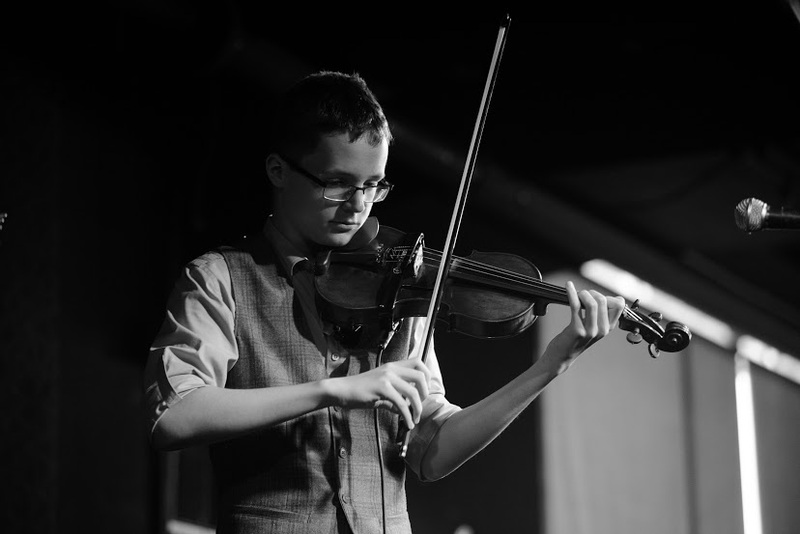 Kennedy is the first Texas youth fiddler to qualify and compete in this championship! For those of you lucky enough to live in the Dallas Fort-Worth Metroplex, stop by The Celt Irish Pub where String Theory frequent. These lads put on an incredible show! After Emmet Cahill did a few songs, Ireland Harber, another member of the North Texas School of Irish Music, came up on stage to sing. The whole room stilled as she told the beautifully mournful and truly Celtic ballad “The Last Rose of Summer” with a grace that many professional singers lack. 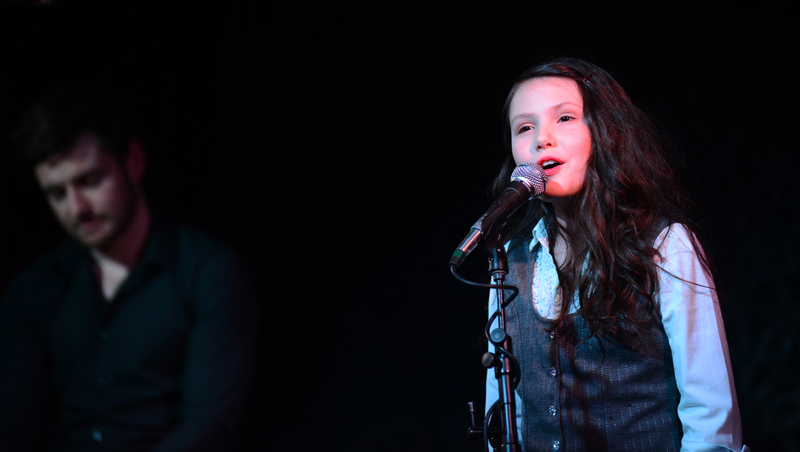 At the end of her song, Cahill broke the room’s stillness with a proud “She’s ten” and proceeded to gush on her talent saying how it was, “The best performance of that song I’ve seen, and I’m not just saying that ’cause you’re here.” I have only seen this song performed that one time but I can most certainly say that it was breathtaking. For her last song Harber joined Cahill in “Go Lasse Go”. 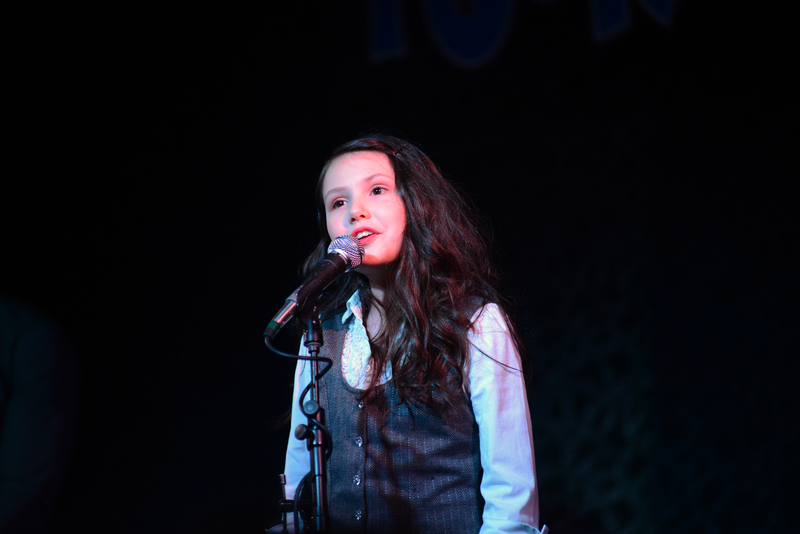 Her gorgeous harmonies alongside her sweet and truly Celtic voice, stole the hearts of all who listened. I was also extremely impressed by how relaxed Harber was onstage, even down to interacting with the audience. This lass will go places! These people have been some of my favorite opening and guest artists, and I can’t wait until they have opening artists of their own. Ireland Harber and Nathan Kennedy in their Irish Folk band Innisfall on Facebook.